This ocean theme thumbprint animals craft is such a fun ocean activity for preschoolers and toddlers! Under the sea themed thumbprint and fingerprint animals are so much fun to make and you can't go wrong if you follow our easy to follow step by step instructions. We have even included free printable instruction sheets that you can download for easy reference. Toddlers and preschoolers along with older kids will love creating their own under the sea themed craft where they can include as many sea creatures as they please! 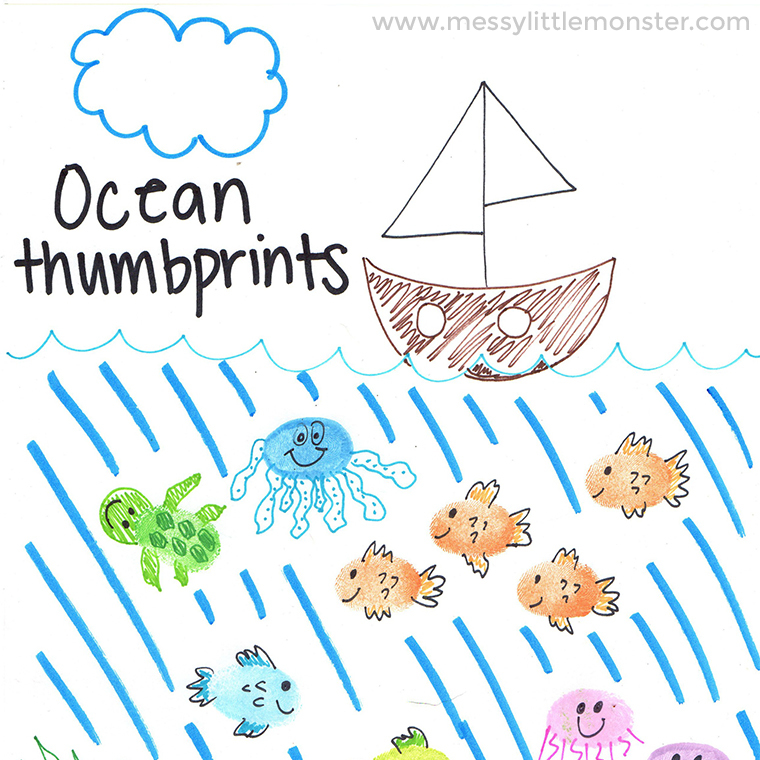 Which of these ocean theme thumbprint animals will you make first!? We hope that you enjoy this fun thumbprint animals activity. If you're looking for more ocean themed activities for kids, why not try these under the sea coloring pages? If your toddler or preschooler loves fish, try this stone fish craft or even this magnetic fishing number game. We also have a really fun shark craft. For some fish themed sensory fun, try this ice fish play activity or this frozen oobleck sensory play activity! Below you'll find step by step instructions for how to make ocean theme thumbprint animals. You can either follow the instructions on screen or download the free printable to follow along. This ocean theme activity would make a great learning opportunity for older children learning how to follow instructions or it would make a fun playdate activity for toddlers and preschoolers. They'll have so much fun making a variety of ocean themed thumbprint animals! Before you get started, be sure to round up your supplies so you're not stopping to go look for them. 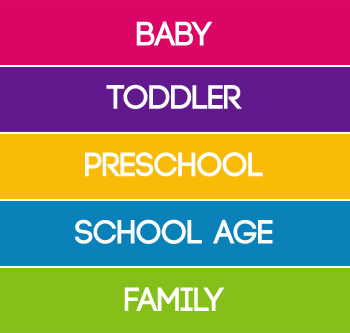 It makes things so much easier when doing crafts with toddlers and preschoolers! You don't need many supplies to make these cute thumbprint and fingerprint animals, you only need stamp pads, sharpies, paper and lots of imagination! Make sure you download and print off your free printable to reference directions during your thumbprint craft. STEP 2: Make your first ocean themed thumbprint animal- a fingerprint fish! 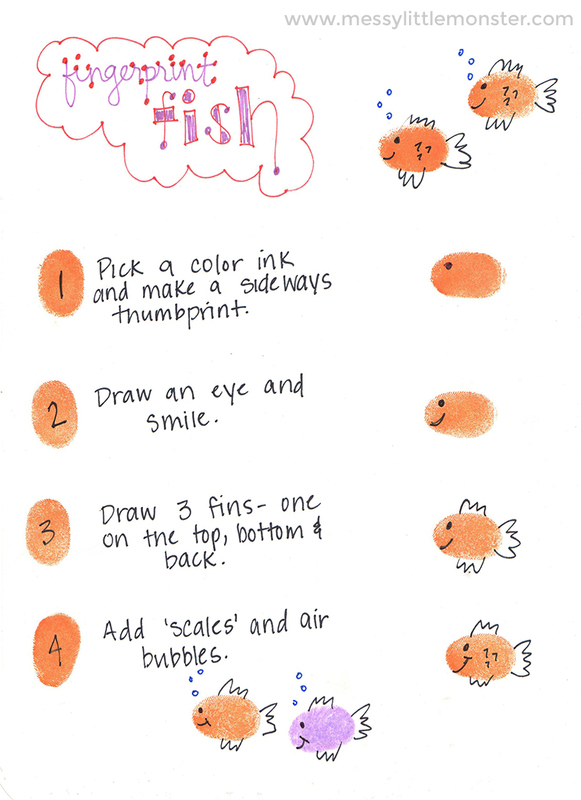 To get started on your thumbprint ocean begin by making your fingerprint fish! Start by making a horizontal thumbprint using your preferred colour. Using a black sharpie, draw a squiggly fin on the top and bottom, and a large fin to the back. Then draw an eye, smile, and little v shapes to resemble fin. Optionally add circles using a blue sharpie to resemble bubbles. Older preschoolers can try and draw the details of each of the ocean animals themselves where as toddlers may need some help. The next ocean themed thumbprint animals to add are some little fingerprint crabs! 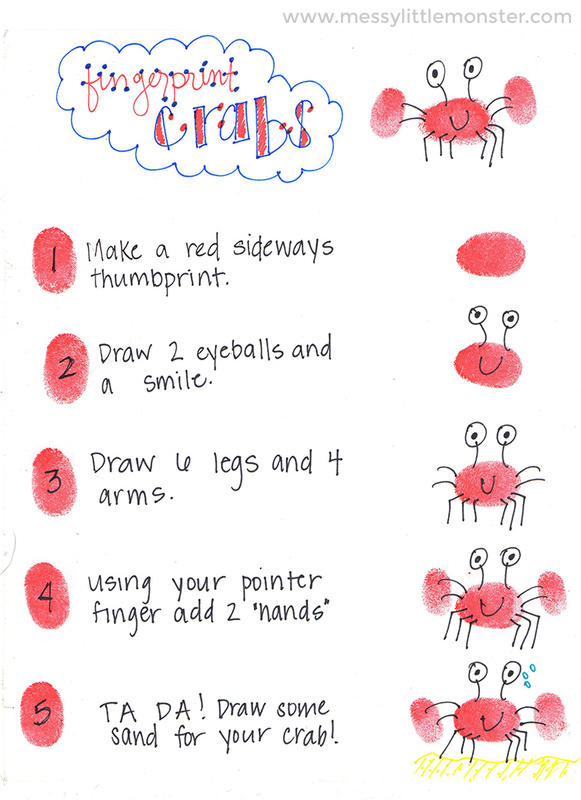 Start by making a horizontal thumbprint with your red colored ink to resemble the crab's body. Using a black sharpie, make four lines on each side of the body and then add six legs. Add two lines with circles on top of each one and draw dots in the center to resemble eyes. Make two red fingerprints on each side of your crab to resemble hands using your index finger and then add a smile to your crab. 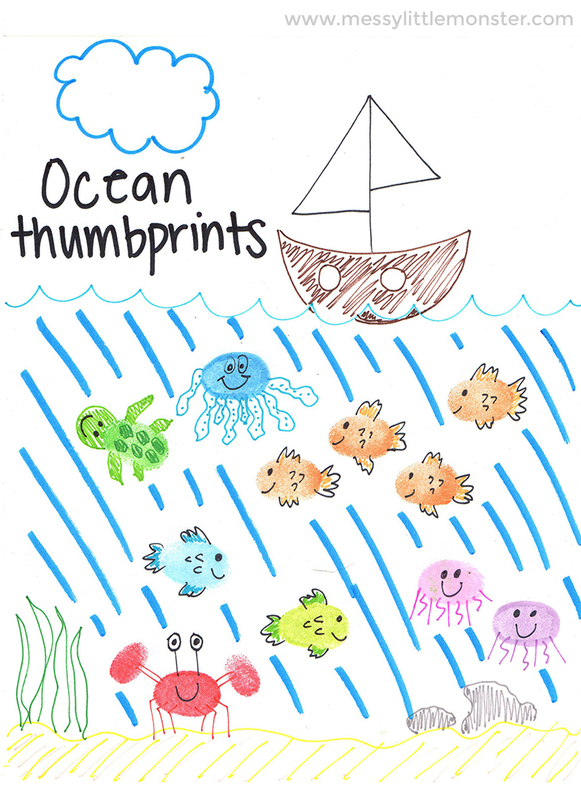 Older children may enjoy following the step by step instructions for each thumbprint ocean animal, whereas toddlers and preschoolers may have their own ideas! 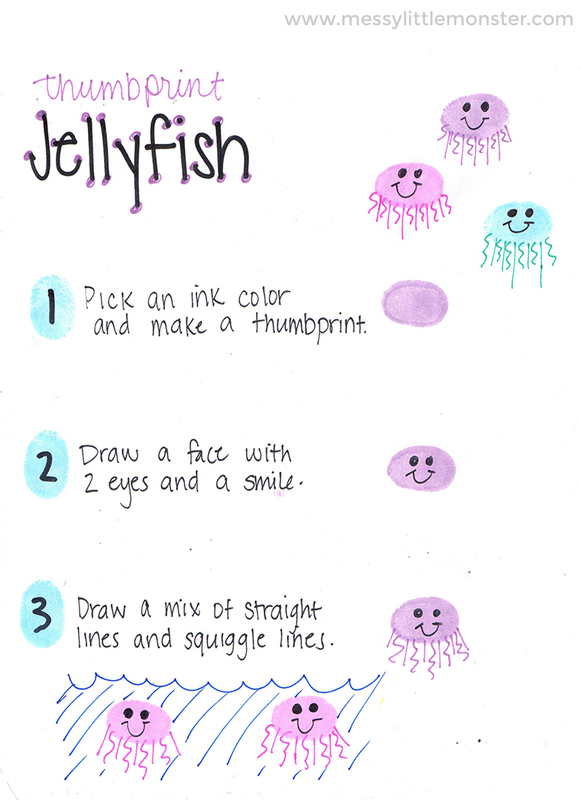 Now it's time to make your thumbprint jellyfish. Start by making a horizontal thumbprint with your ink colours of choice. Using a black sharpie, add two eyes and a smile. Using a sharpie colour of choice, draw some straight and squiggly lines coming off the jellyfish. Your ocean full of thumbprint animals should be starting to fill up now! 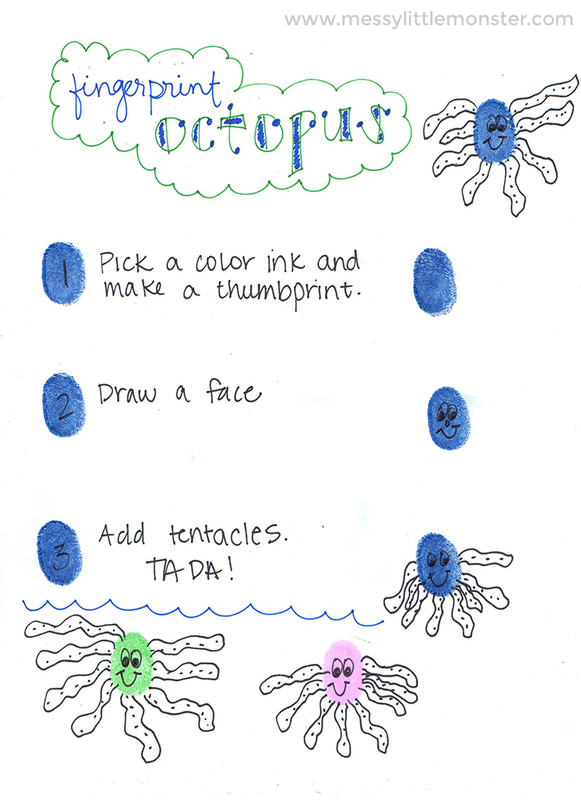 The next part of your ocean theme thumbprint animals craft is the fun jiggly octopus! Start by making a vertical thumbprint with a coloured ink of your choice to resemble the head / body of the octopus. Using a black sharpie, draw eight tentacles coming off the octopus. Then add two big eyes and a smile. You could even add googly eyes to your under the sea themed thumbprint aninals! 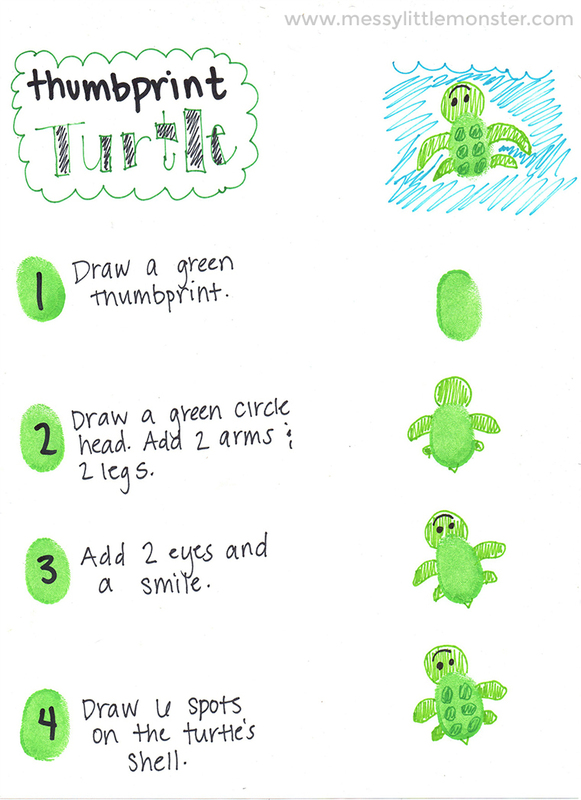 The last animal for your ocean theme thumbprint animals craft is the turtle! Start by making a vertical thumbprint with green ink. Using a light green sharpie, draw a circle attached to the top of the thumbprint to resemble the head. Then, draw two front and two back legs, making the front legs larger than the back. Add a pointy tail and then draw a face with black sharpie and six dots with a dark green sharpie to resemble a shell. The last part of your ocean theme thumbprint animals craft is to add any final details. Draw things like the ocean, a boat, a cloud, or even extra details to the animals. You could draw the details with pens, use paint or even glue on some real sand and shells! 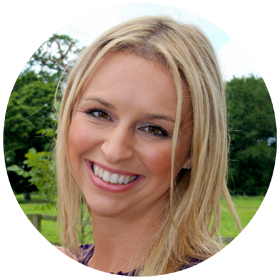 As you make each animal encourage a bit of extra learning by talking to your toddler or preschooler about the different ocean animals and their environment. It would be great to extend this activity by looking at some ocean themed books. To download these ocean themed thumbprint animal instructions for free add $0 and click on the 'I want this' box below. It may take a moment for the page to load so please be patient. Toddlers and preschoolers will have so much fun with this ocean theme thumbprint animals craft, but that doesn't mean that older children can't enjoy this cool ocean themed activity too! I actually think that the printable step by step thumbprint animal instructions are perfect for older kids just learning how to follow instructions. If your toddler or preschooler enjoyed this ocean craft they might like our under the sea colouring pages, shark craft or fish craft too!